generation of high-quality models offers energy efficiency, durability, safety, and style. and rugged steel sliders, which are usually less expensive. shell, offering six times the energy efficiency of wood. 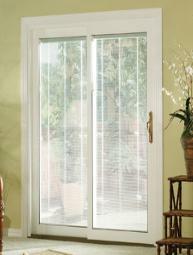 Of course, the largest part of a sliding glass door is glass. coating and, in some cases, argon gas filling. lights. 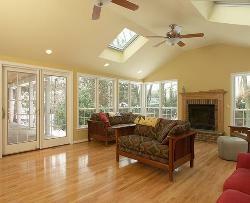 Most manufacturers let you specify the glazing you want when you order. Beyond the standard 6-feet, 8-inch height, sliding doors are made 6 feet, 11 inches or 8 feet tall. 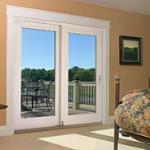 Bayside Windows and Doors offers a variety of sliding glass doors from many top manufacturers. Call today for pricing and info. 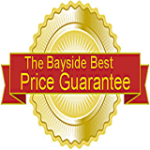 We offer a FREE Estimate!